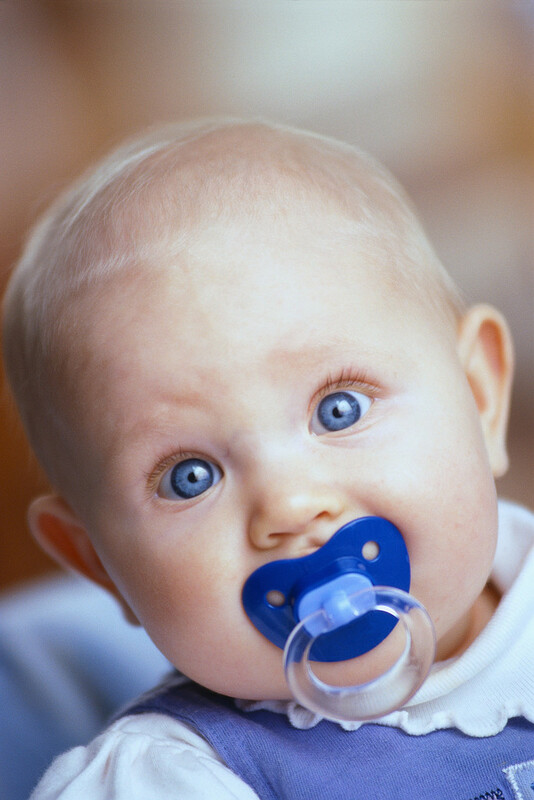 If your baby uses a dummy as you know, you are not alone! Many babies are given a dummy early on. I personally would suggest that if you can avoid it do try to, as it is habit forming. However, don’t be too hard on yourself if you feel you have to resort to using a dummy. I do understand that sometimes, the need for sleep and peace does become necessary especially during those early, tiring and hectic days! Even if you don’t give your baby a dummy, you may find that your child self-comforts by thumb or finger sucking – which really isn’t much different (see my blog here on that topic). I see many babies and toddlers at my nursery, Shannon ChildCare, with a dummy and I also help to wean them off with parental permission. The problem with dummies, rather like thumb-sucking, is the issues it can create with a developing palate. It often pushes new teeth forwards and the result is goofy looking teeth. This can be corrected much later with orthodontic treatment but sometimes, if dummies are allowed for years on end, orthodontic treatment will go beyond braces and can be stressful for your child not to mention yourself as the parent. I do see children still using a dummy as late as 4 or 5. The truth is, it doesn’t look good and it’s very unhygienic. Think about sending them to school – it’s not great for a child to start school sucking a dummy and you wouldn’t want them to be teased (it does happen!) Another hazard is soon as children develop teeth, they start chewing the rubber which punctures it and dirt is harboured inside. It is vital that a dummy is kept meticulously clean. Many babies and children use it just for sleep. Some children don’t use a dummy at all during the day but as soon as its bedtime they use it to lull themselves into a slumber. Others reach for a dummy when they are in a stressful situation. Try and avoid this by having a favourite toy in their cot or close by as early as possible as their comforter, even a muslin square – this is infinitely better than a dummy as it won’t cause them harm. Don’t take the dummy away if there are big changes ahead, such as nursery, new sibling, a house move, illness etc., as your child will be more emotional than usual. Time it right. If you are using a dummy and you still have a baby under one then start to think about weaning your child off it as soon as possible. You could just take it away and go through the pain! You may be surprised and find that your child doesn’t notice it’s missing – this is rare, but it does happen. Memories are very short under one so try it as a first option. Buying your baby a new cuddly toy suitable to their age can work too especially if you see they are attracted to it. Be aware of when your child will reach for a dummy and as early in their development as possible, help them by using distraction. Whether it’s another toy, singing a song, making them laugh, a snack, taking them out or putting on the TV; by subconsciously shifting their attention you could be lucky and they may forget what they were looking for. If your child uses the dummy a lot then try and reduce how often they use it. Only allow them the dummy at certain times of the day, or if they are asking for it – delay giving it to them by a few minutes at a time, gradually increasing that time so they can get by without it for 10 minutes, then 15 minutes, then 20 minutes and so on. Once your child is old enough to move around and you have decided the dummy is to be banished – ensure there are none around the house for obvious reasons. Don’t tempt your toddler! One of my favourite methods of ditching the dummy is the “Dummy Fairy. Start introducing this fairy to your toddler early on. Explain that the dummy fairy takes away children’s dummies when they are getting too big for them and gives them to new babies. Tell your child that mummy will eventually need to gather up all the dummies for the dummy fairy and post them or leave them in a wrapped up parcel in the garden for the fairy. The fairy will leave a gift in return. This more than often works. 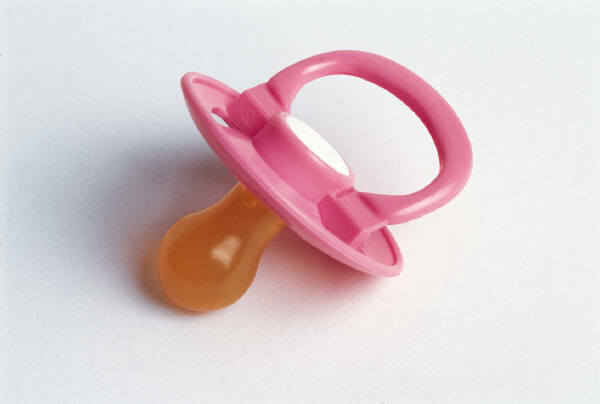 Do warn your child in advance – let them know the time is coming to lose the dummy. You could tie it in with a big event like a holiday, starting nursery (starting school if you’ve left it late) or Christmas (leave it for Father Christmas – another great strategy!) Tell your child how grown up they are and that it’s time to go into a big girl or big boy bed which means they don’t need a dummy. Children like to feel “grown-up”. Another method is to ruin the dummy! 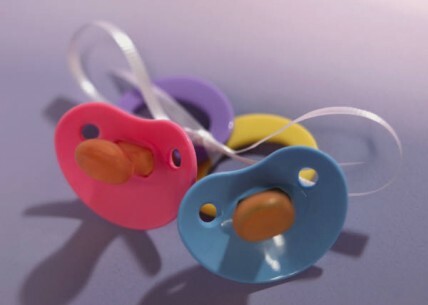 By cutting a piece off or puncturing it, the dummy will feel different in their mouth – uncomfortable, be aware though, of small bits coming off the dummy, you don’t want it to become a choking hazard. In turn, they will hopefully discard it. Buy a book about dummies. There are many stories about toddlers giving up their dummy. Start reading it to your child and plant the seed in their head that they will have to give up the dummy soon. Here’s an example of a nice book; Bea Gives Up her Dummy by Jenny Album. However, if you have tried and not succeeded yet, don’t worry. It will happen. I promise you your child won’t be using it as they grow up and will more often than not get rid of it of their own accord. 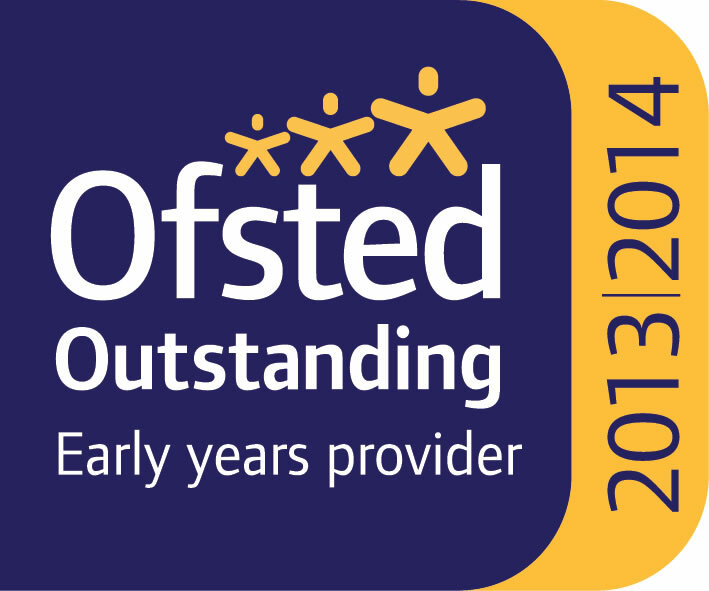 If you would like further information please call me, Alyson at Shannon ChildCare on 020 8958 6630.